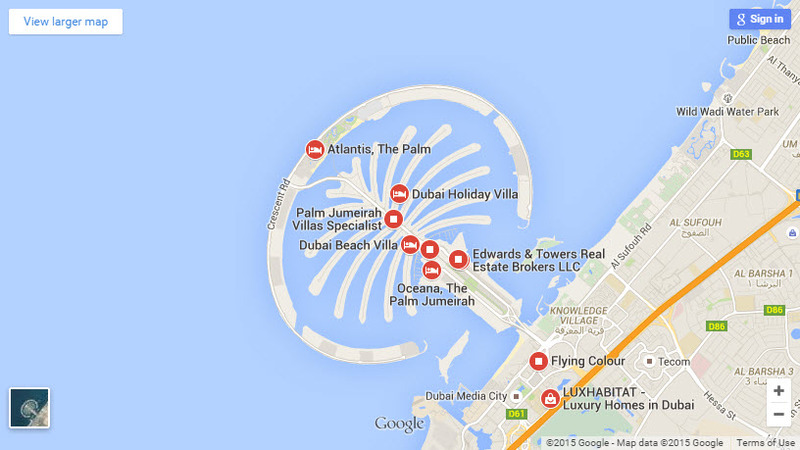 Signature villas are the most exclusive detached villas you will find don the Palm Jumeirah. 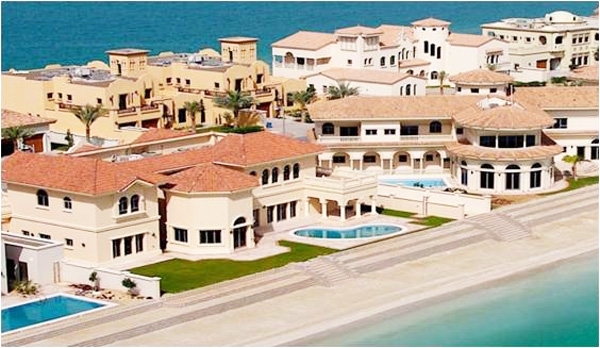 The villas have private beaches, large plots and have a magnificent view over the Arabian Gulf and the Palm Jumeirah. There is a large choice in styles, based on architectural cultures worldwide. The villas have 5 to 7 bedrooms, large living rooms, kitchens, dining rooms and car parks. A maid’s room and driver’s room is also present. The villas has exceptional finishing’s and you can choose between 3 different styles. The villas have a private pool, spacious terraces and a beautiful landscaped garden. Swimming Pool: Private pool of 16′ or 26′ by 39’ft.